Kidical MASSIVE–all the Kidical Masses on the same day!! !–was a HUGE success! 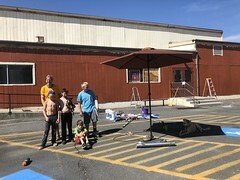 I don’t know if there will be a tally or estimate of participants at kidicalmass.org, but there were about 50 different rides around the world! Checking out the various cities is most easily done at the #kidicalMASSive twitter hashtag. I think our Seattle ride may have had THE MOST PARTICIPANTS OF THEM ALL with 221! 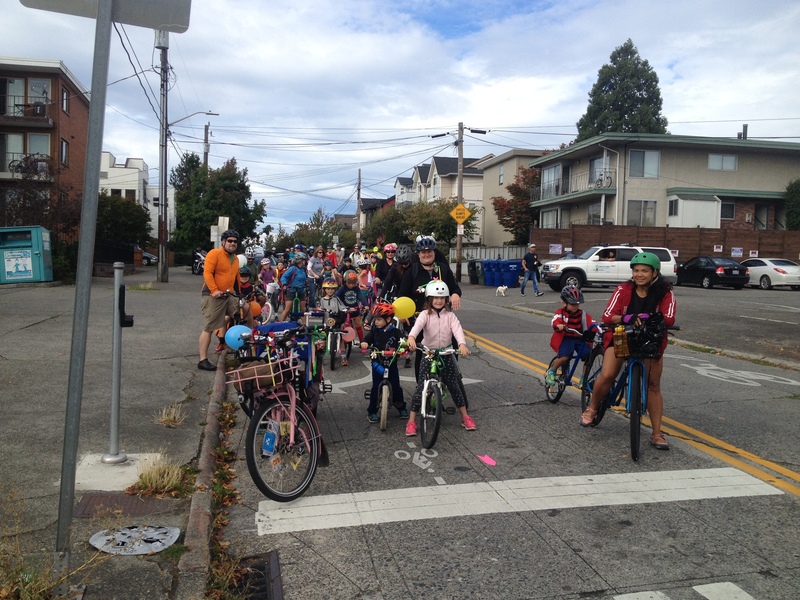 Of course we were also the only ride that coincided with an Open Streets event–Ballard Summer Parkways–so Seattle Kidical Mass can’t take full credit for the amazing turnout. 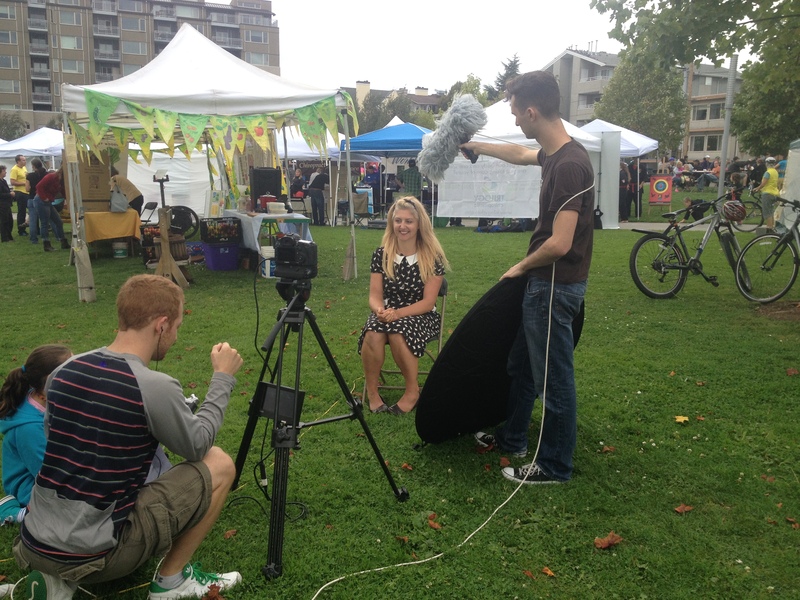 We even got to kick off the whole Summer Parkways event! Seattle City Councilmember Sally Bagshaw spoke onstage first, and then I had a couple minutes to tell the story of Seattle Kidical Mass (birthed in Ballard six years prior) and laud the changes I’ve witnessed to the streets in the area since then, making it safer for people of all ages and abilities to bike here. 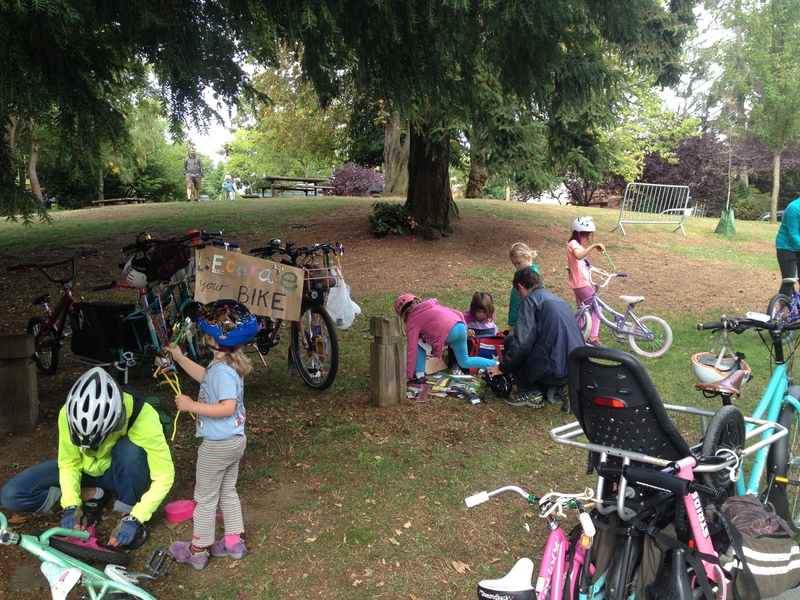 Then I wove my way through the throng of kids eager to ride their bikes and off we went! I didn’t take many photos during the event because there were lots of photographers around, as well as videographers for the Less Car More Go cargo bike documentary. Hopefully more photos will pop up soon. 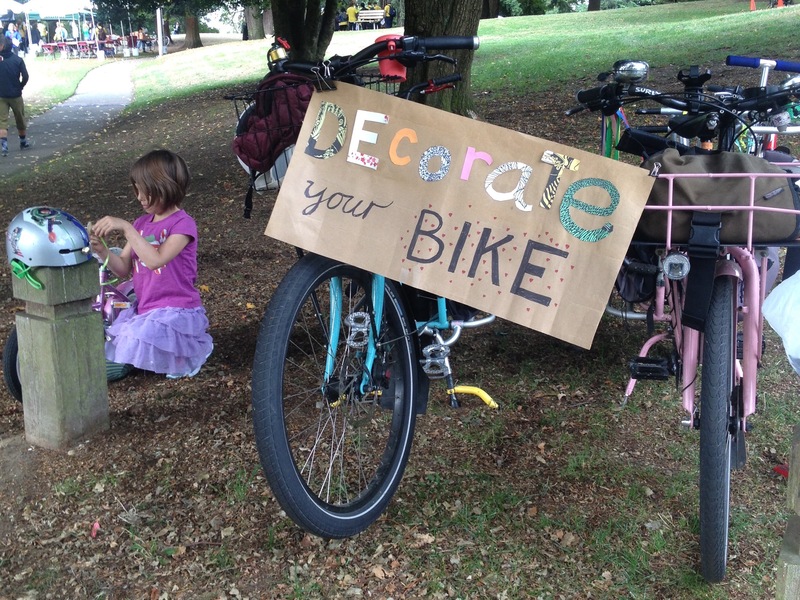 We started the day with an hour of bike decorating before Summer Parkways officially launched. I was able to add to my pipe cleaner stash (great for helmet antennas!) and CSG advised me to order more pinwheels, which was terrific advice. I will have to add those to my regular repertoire. We biked 2.3 miles, covering just part of the 7-mile street closure, starting at Salmon Bay Park and ending at Ballard Commons Park and the Sustainable Ballard Festival. Some families continued exploring Summer Streets, but we stayed at the festival so I could set out the bike decorating supplies again while the kids rode skateboard and scooter in the skate bowl (they’ve gone multimodal–we have to bring bikes, skate, and scoot everywhere now), watched the Bubble Man, and spun every prize wheel at the many booths. Meanwhile, I got to do a quick interview for Less Car More Go, as Kidical MASSIVE will be featured at the end of the documentary. I can’t wait for it to come out! ← Upcoming: Kidical Massive Seattle Ride!